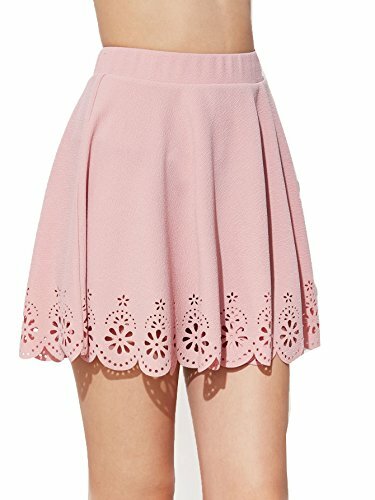 SheIn Women's Basic Solid Cutout Scallop Hem Flared Mini Skater Skirt Small Pink | What Should I Say? X-Small: Length: 39cm/15.4", Waist Size: 60cm/23.6"
Small: Length: 40cm/15.7", Waist Size: 64cm/25.2"
Medium: Length: 41cm/16.1", Waist Size: 68cm/26.8"
Large: Length: 42cm/16.5", Waist Size: 72cm/28.3"
If you have any questions about this product by SheIn, contact us by completing and submitting the form below. If you are looking for a specif part number, please include it with your message.